Never worry about losing data again. The Swimage Data Protect Snapshot will protect the entire file system on the drive prior to the migration. This makes it possible to recover any data loss that may have occurred during the migration. The Snapshot is stored locally and is captured in only a couple minutes, giving you the safety-net needed to migrate without ever fearing data loss. 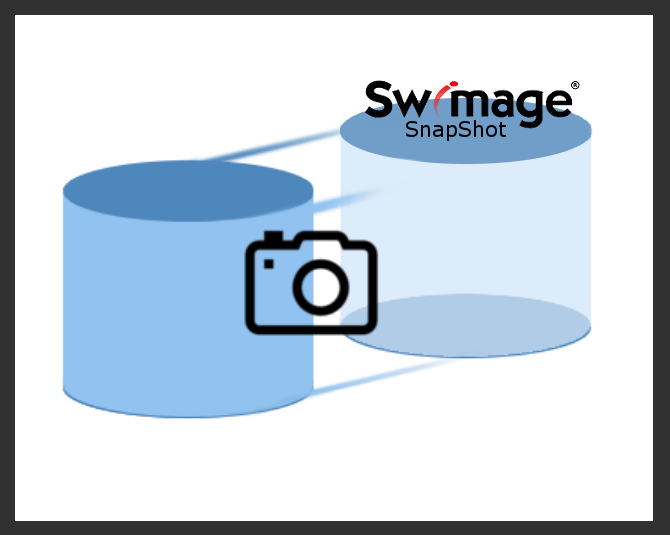 With the Swimage Data Protect Snapshot, all files are protected and retained for a specified period after the migration is completed (default 20 days), just to ensure no data was missed. If data is missing, it’s easily restored by the support desk or by the user from the local backup location. Regardless of the total size of the hard drive, the Snapshot can occur as long as there is 35 GB to 50 GB of free space on the drive. The Snapshot backup uses hard linking technology to save all data on the drive. This includes all system, hidden, and other files to ensure you are 100% protected — even the Recycle Bin is protected in the Snapshot. Once the Snapshot if performed, the drive appears completely empty and ready for the new OS to be applied. Data is restored from the HardLink locations from the Snapshot, ensuring that no files are duplicated on the drive, taking more space than necessary.